Associate Director of Marketing Kristina Murti has been luring Seattleites—both the converted and unconverted alike—to opera for the past 15 years. 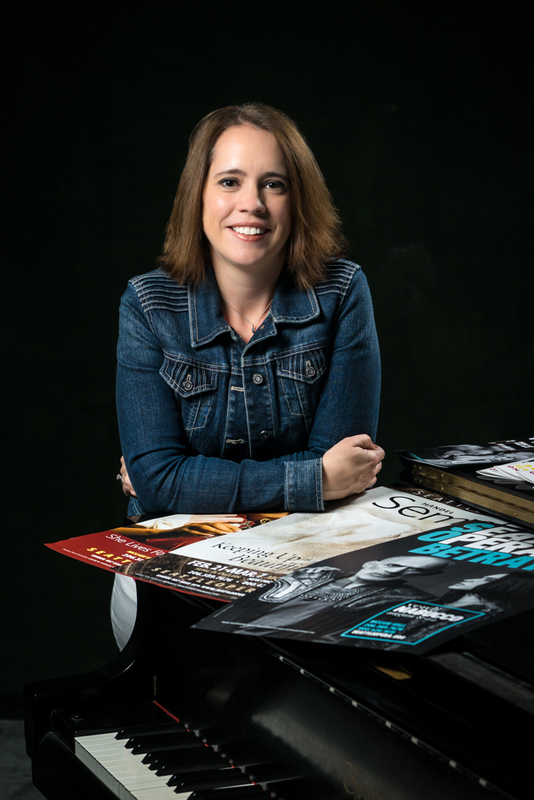 Trained as a classical pianist and mom of two young daughters, she brings her love of music and live entertainment to her family life and to her work. And boy does she work—tirelessly—to find new ways to communicate the thrilling experience of live opera to the masses and to make it accessible to all. I’ve heard you talk about how Seattle Opera offers a quality product. Could you expand on that idea of opera as product? People come to Seattle Opera for an evening of quality entertainment, and to share the experience with family or friends. We’ve been very successful at that. When people leave the theater after an opera, our goal is for them not only to feel like they’ve seen a thrilling performance, but also to realize that seeing it live was an important part of why it was so amazing. Live performance is a big part of what we’re selling and it’s the hardest thing to communicate to our potential customers. How do you capture the essence of a live performance of anything? Most people who’ve gone to a sporting event know the difference between driving down to the stadium versus watching it on TV at home. It’s about the excitement, about everybody being together and being able to see an amazing achievement happening in front of you – which is the same for attending live theater. It’s sometimes challenging for us to communicate that with opera. We don’t have the advantage of a “home team” per se, or personalities that people can come back to every time. Right. Opera is about the stories and music. There’s such variety in the artform, so something that really resonated with an audience member in one performance might not be the same in the next opera we put on. What are some tough opera-preconceptions you have to overcome through marketing? One thing that’s still surprising is people don’t realize that we have supertitles, captions, whatever you want to call them. (I like to call them subtitles because there’s a correlation to movies; people understand what that is.) When we’re trying to attract newcomers, that’s our absolute number one barrier to entry. People just think they won’t understand what’s happening, and the story is important to them. The hardest shows to sell are the ones with foreign titles. How do your tactics differ when trying to sell The Pearl Fishers versus Carmen? You don’t have to say very much about Carmen; whereas with The Pearl Fishers you have to give people a sense of what it’s going to be about and what the mood is going to be like. The Pearl Fishers has some really beautiful key musical moments, so we try to get those out there as much as possible. There have been so many changes in technology in the past 15 years. What has changed your work the most? The advent of social media. Especially in terms of the opportunities we have to talk to people directly. The approach that we take with our social media is to introduce the art form to people who might not know much about it. That’s why we do all these things that you see out there like musical quizzes and fun memes about opera. We’re trying to make people feel that we’re an approachable theater company, and if you like theater and you like music and a fun night out, that’s what you’ll get at Seattle Opera. You have young kids. How have you involved them in the arts? My oldest daughter was a Nibelung in the last Ring. She loved that. She so wants to do it again, though she may be too tall! My husband and I take the kids to a lot of theater and live events. We take them to UW Husky women’s sports events, we see almost everything at the ballet, and we go to the 5th Avenue a lot. We’re an arts family, though i did encourage my oldest to take a computer programming class this summer! I know you care a great deal about our subscribers. I’ve heard you call them “my people.” What’s the benefit your subscribers love the most? They love that free parking! This Staff Chat first appeared in Seattle Opera’s program for The Pearl Fishers in October 2015.
instagram online viewer Thanks for the informative and helpful post, obviously in your blog everything is good..
upload to instagram from pc I'm happy to see the considerable subtle element here!. yttomp3 Well, this got me thinking what other workouts are good for those of us who find ourselves on the road or have limited equipment options.